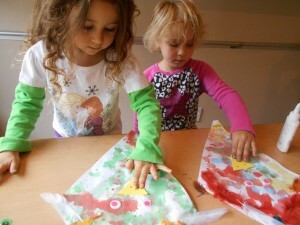 The children have notice that it has been very windy lately so we decided to create a kite. 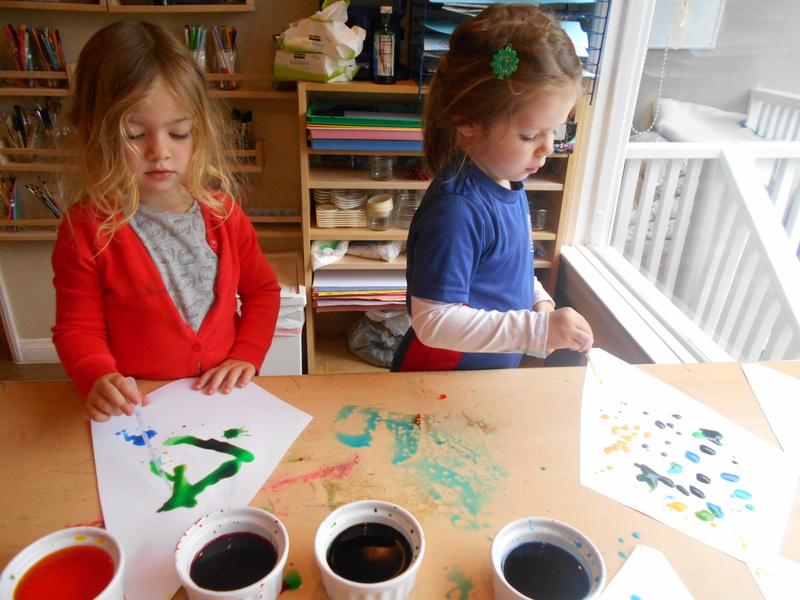 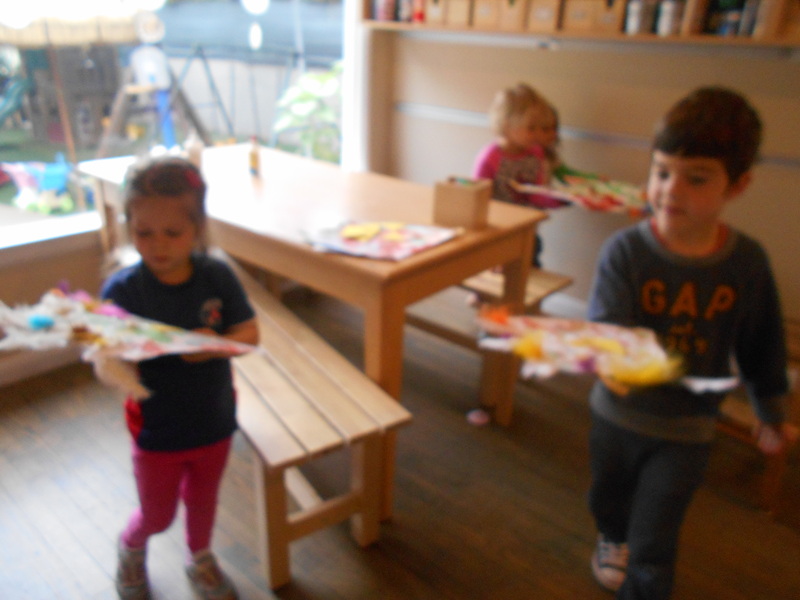 The children first painted their kite with bright colors. 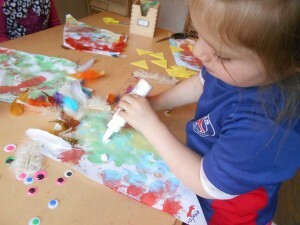 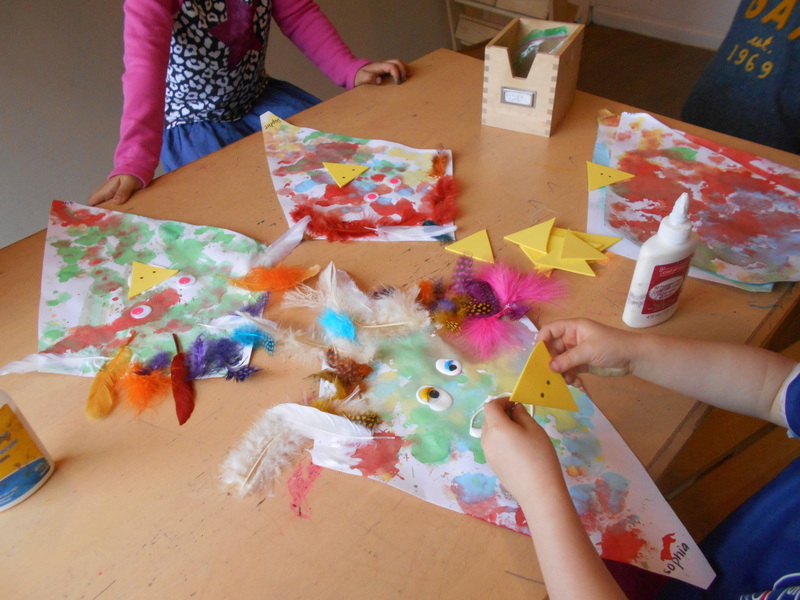 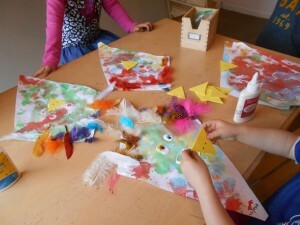 The children then had a great idea of adding feathers to their kite so that it can look like a bird. 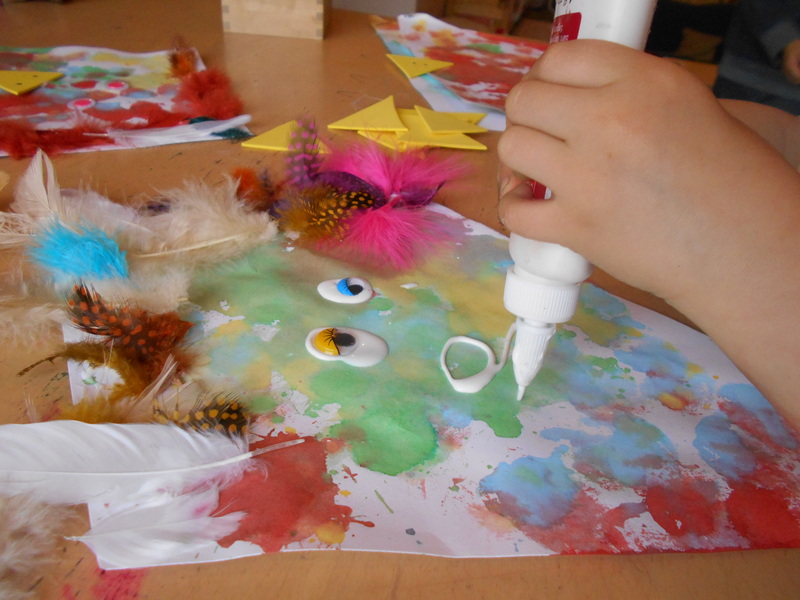 The children then decided to add a beak and eyes as well.They cant wait for their kites to dry to add the string and fly them!